Placebo: Believe It or Not? ” Hi, my dog Samba had been diagnosed with EHRLICHIOSIS, a sort of IMHA in a way, but tick borne. However, she had terrible stress related episodes of bloody diarrhea, vomit, etc. Last year on valentines day it all was so bad that I literally had to go to the vet clinics nearby park to beg and find a dog that qualified to donor blood to her, so terribly bad her blood cells/platelets count was. I kept her alive with transfusions for a while … I refused to believe its the end, I read night over night about everything I could find… She was on about 7 different meds, including prednisone, azulfidine, aspirin, some stomach stuff, antibiotics … You name it. 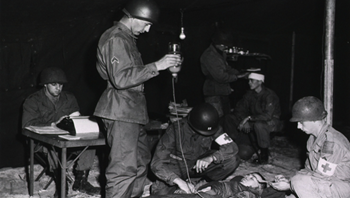 During World War II, American anesthesiologist Henry K. Beecher ran out of morphine to administer to wounded soldiers. Without any method of delivering pain relief, and not wanting the soldiers to lose hope, he injected them with saline solution instead. To his surprise, these soldiers resisted going into shock and reported a decrease in their pain just as if they had been given morphine. Beecher had unknowingly stumbled upon the “placebo effect:” a real improvement in health or behavior that is not due to pharmacological treatment. By definition, a placebo is inert, yet when introduced into the body, it can bring about observable and measurable changes via top-down mechanisms. The placebo effect can even occur when no substance is ingested, as in the case of feeling better just after having seen the doctor. After returning home from WWII, Beecher got to work investigating placebos. He studied them with over 1000 patients in 15 different common ailments, and found that the placebo effect was not limited to pain relief. He observed the effect for all medical interventions in which the subjective expectation of the patient was that healing would occur, whether they had been given a placebo or a real treatment. Subsequent to his studies, Beecher recommended the adoption of double-blind, randomized clinical trials for drug testing, which was a burgeoning field at the time. Double-blind meant that neither the doctor nor the subject would know if they had received a placebo, and randomized trials meant that the subjects would be randomly assigned to either a placebo or a treatment group. This form of clinical trial would soon become the gold standard of the pharmaceutical industry and today, no drug can be approved without first beating placebos in two or more such trials. While Beecher succeeded in improving the rigor and quality of pharmaceutical trials, he unknowingly stigmatized one of the most important discoveries in modern medicine. If an inert substance can act as a catalyst for the body’s natural system of healing, then this is a phenomenon that needs to be studied and understood. Instead, the placebo effect plagued drug trials by driving up their costs and making them more difficult to pass, which led to a negative depiction of placebos by the drug industry and the perception that they were nothing but a nuisance to be overcome. The reason why the placebo effect works, and why it has gotten stronger over the years, is because we expect it to work. Time and again we have been conditioned by advertisements, doctors’ advice, and personal experience that taking a pill can cure our day-to-day ailments. Simply by stating, “This is a powerful painkiller” instead of “This is a mild painkiller,” the doctor can improve your likelihood of finding pain relief by influencing your expectations. Likewise, many other contextual cues can modulate an individual’s response to the placebo effect. For example, the size, quantity, color, method of introduction, and price of a treatment all have a bearing on its effectiveness. Receiving an injection is more effective than swallowing a pill, larger pills work better than small ones, and shelling out $100 for a remedy almost certainly means that it will work better than the $10 alternative (or at least you will perceive it does). These effects are largely culture-driven. 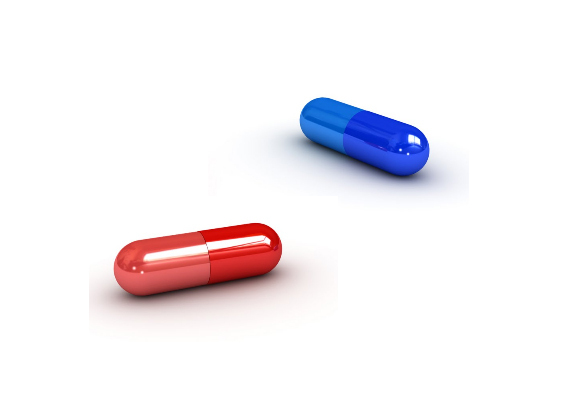 In our culture, where red is associated with excitation and blue is associated with calmness, blue pills are more effective for treating sleeping disorders, while red pills improve the efficacy of stimulant drugs. The psychosocial context surrounding health treatments also factors in: your doctor’s bedside manner, the room that you are treated in, the quality of care, the number of visits, the doctor-patient relationship. In fact, many people view the placebo response as the effect of medical ritual on healing, and the number one factor that predicts chances of healing is the amount of doctor’s care! In clinical trials, treatments administered by Harvard physicians wearing lab coats are often more effective than identical treatments administered at local colleges by graduate students. Despite these amazing claims, the placebo effect does have its limits. It can ease the discomfort of pain, but it won’t cure ulcers or prevent the growth of tumors. And it can also work in the opposite way in a phenomenon known as the nocebo effect, when the expectation of negative side effects will increase the chances of having them. Negative stereotypes surrounding placebos have led to the underestimation and devaluation of their potential as a therapeutic remedy. On a personal level, showing a placebo response was considered a fault of character indicative of gullibility. On a clinical level, pharmaceutical companies regarded the placebo effect as a nuisance rather than an auspicious physiological phenomenon. Moving forward, it will be necessary to dispel these notions in order to arrive at a more genuine understanding of the placebo effect and harness its potential. Doctors and nurses already use placebos in many instances. Illnesses with a psychological component such as insomnia, chronic pain, depression, and erectile dysfunction respond well to placebo treatments. Young males often complain of the inability to have erections, but their condition is almost always due to anxiety instead of physiology. Nurses will perform the “roll of stamps” test: They give their patient a roll of stamps to take home. During sleep, the body will naturally have several erections per night, and in the morning, when the roll of stamps is detached the patient will be reassured. This is enough to heal them of their “dysfunction.” Placebo pills have been shown to be as effective as the stamps test for this age group. Often, physicians will prescribe “impure placebos”: treatments with a pharmacological effect that can be effective in some cases, but not for the condition in question or at the dose prescribed. In a 2008 study by BMJ, about 50% of American physicians admitted to prescribing pure or impure placebo treatments within the past year (Tilbert et al 2008). In 2011, it was reported that 50% of German doctors prescribe placebos for minor illnesses (d’Arcy Hughes 2011), and more recently, 97% of doctors surveyed from the UK admitted that they prescribed impure placebos at least once in their career (Citation). Is this ethical? Well, given that placebos work best when we are unaware of them, a little deception is necessary to provide the best placebo treatment. If we prescribe to the adage, “Doctor knows best,” then we can rest assured that our physicians have our best interests at heart, even if that means prescribing a placebo. But I’m not so sure how I would feel about it if it meant spending my whole paycheck on sugar pills. The topic of placebos has been neglected in both industry and academic research. The first step in understanding their potential effects is to destigmatize our current view of placebos and recognize that they have real, top-down, physiological effects. Studying the placebo effect will provide insights into mental health, challenge the scientific basis of the pharmaceutical market, and teach us how to unlock the body’s natural ability to heal itself. So where do Bio-Algae Concentrates (BAC) come in? 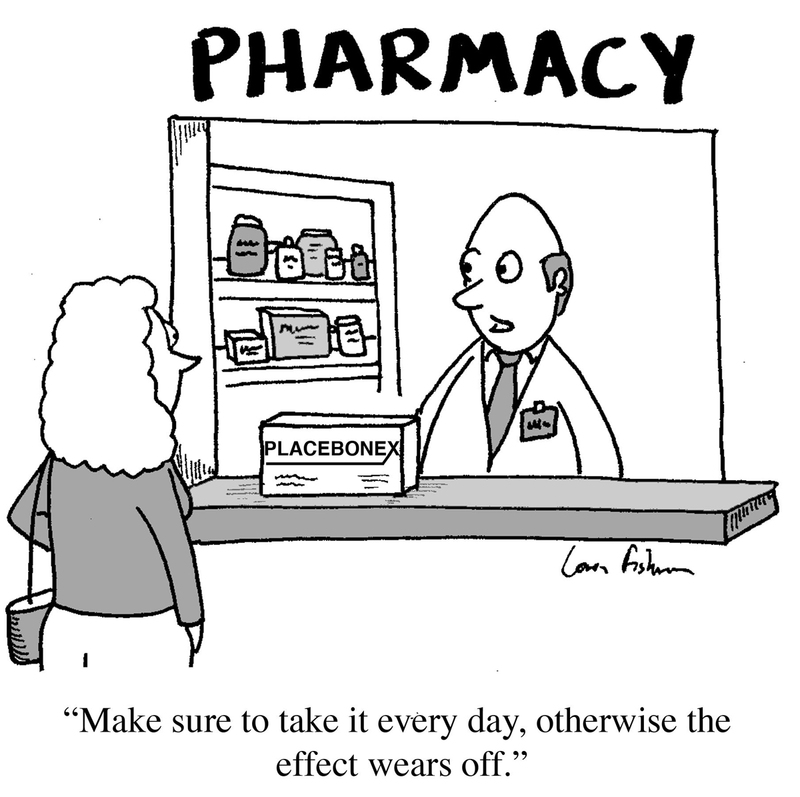 Like many pharmaceuticals, most natural, homeopathic, or alternative remedies often work little better than placebos. But unlike pharmaceuticals, natural supplements are usually not required to undergo randomized clinical trials. This is because they do not claim to treat or prevent specific diseases, and therefore do not have to observe as strict of measures. As a result, it is even more difficult to judge the true efficacy of natural supplements with regards to the placebo effect. During the development of BAC, extensive research was conducted with animals in laboratories and on farms, as it was the norm at that time in Russia to test any new medicine with animals before approving them for human consumption. Animal research for BAC was eventually conducted with over 20 different animal species including chicken, cows and mink, and involved more than one million animals. Benefits seen with animals were innumerable, including increased birth rate and life expectancy, the eradication of certain diseases from farms, healthier and glossier coats, eyes, and teeth, and increased production and longevity of farm animals. While animals have been found to show some placebo response to human contact, (Farm animals that are handled gently are more productive, for instance, and dogs with epilepsy have less seizures when they are in contact with humans.) they do not have a placebo effect when it comes to ingesting pills, supplements or powders that are not associated with humans. Therefore, the results seen with BAC in animals are undeniably the result of an active compound, and not placebos. You can be certain that BAC caused the documented results. The placebo effect will be present with any supplement: natural, pharmaceutical or other. And as we have seen, the placebo effect can work both ways: positive and negative. Therefore the most important thing to remember is that the placebo effect demonstrates the power of your own mind over your body. Positive thinking will do wonders for an aching body, and learning to appreciate that is more valuable than putting all your faith into tiny pills. Beecher, Henry K. “The powerful placebo.” Journal of the American Medical Association 159.17 (1955): 1602-1606.
d’Arcy Hughes, Abby. ” Half of all German doctors prescribe placebos, new study shows.” The Guardian. N.p., 06 Mar 2011. Web. 2 Mar 2014. <http://www.theguardian.com/science/2011/mar/06/half-german-doctors-prescribe-placebos>. Gage, Suzi. “The ethicality of prescribing placebos.” The Guardian. N.p., 25 Mar 2013. Web. 2 Mar 2014. <http://www.theguardian.com/science/sifting-the-evidence/2013/mar/25/ethicality-of-prescribing-placebos>. Howick, Jeremy, et al. “Placebo use in the United Kingdom: results from a national survey of primary care practitioners.” PloS one 8.3 (2013): e58247. Kirsch, Irving, et al. “Initial severity and antidepressant benefits: a meta-analysis of data submitted to the Food and Drug Administration.” PLoS medicine 5.2 (2008): e45. Raz, Amir. “Hypnobo: perspectives on hypnosis and placebo.” American Journal of Clinical Hypnosis 50.1 (2007): 29-36. Silberman, Steve. “Placebos Are Getting More Effective. Drugmakers Are Desperate to Know Why..” Wired. N.p., 24 Aug 2009. Web. 2 Mar 2014. <http://www.wired.com/medtech/drugs/magazine/17-09/ff_placebo_effect?currentPage=all>. Tilburt, Jon C., et al. “Prescribing “placebo treatments”: results of national survey of US internists and rheumatologists.” BMJ: British Medical Journal 337 (2008). The following questions were submitted in advance of the February 19, 2014 BAC Academy. Since we could not cover all questions during the conference, we are providing some answers here based on our best interpretation of the questions. Q: What is your suggested protocol for protection from radiation exposure? A: In general, we recommend an average of 6 capsules of formula F3 daily as the best protection for most adults. Capsules should be taken one at a time, beginning first thing in the morning, and then at regular intervals throughout the day, and always with about 4 oz. of pure water. For best results, take capsules between meals, roughly every 1-3 hours. They may also be taken with food and if necessary, the powdered contents of the capsule can be mixed into soft foods (or smoothies, green drinks, water or other beverage.) Some folks may find they get the results they desire with as few as 3-4 capsules per day, while others may require 8, 10, 12 or more capsules to achieve desired results. You may contact us for specific recommendations if desired: info@bioage.com or, by phone: 877-288-9116 M-FR. Q: Is it ok to take BAC with a glass of juice that has Emergen-C in it and various items like tincture of ginkgo, astragalus, ginseng, burdock and grapefruit seed extract? ALSO, is it better to add warm water because it has an immediate effect instead of a day delay similar to taking tinctures? A: There are no known contraindications for consuming BAC (Bio-Algae Concentrates) with any food, beverage, supplement or pharmaceutical. With that said, we feel the best results are obtained when consuming BAC between meals with pure, cool (or room temperature) water, as detailed above. Q: Does BAC oxidize and lose potency over time? A: Bio-Algae Concentrates are freeze-dried. This renders them to the most stable form, retaining nutrient value and potency for years if not decades, as long as the product is stored properly (at room temperature.) Dr. Kiriac has some of the powdered BAC dating from 1987. He tests this for spoilage and for potency from time to time and has seen no loss in either after more than 25 years! Q: Good supplements are expensive. I am still confused as to which individual supplements I have previously been taking can now be eliminated with the introduction of F-3 to my diet…? A: As you know by now, BAC is a synergistic combination of four species of micro-algae: Spirulina Platensis, Spirulina Pacifica, Dunalliela Salina and Haematcoccus Pluvialis. Present in these four species of microalgae is just about any naturally-occurring nutrient that can be found in any healthy food source, including every vitamin, mineral, trace element, amino acid, fatty acid, nucleic acid, chlorophyll, enzymes, carotenoids, and many more. After years of extensive clinical research, these algae were “hand-picked” by Dr. Kiriac for the synergy and completeness of their combination. Not only is BAC possibly the most complete food/source of nutrients on earth but – as proven through extensive animal studies – the consumption of BAC renders the body dramatically more efficient at assimilating and utilizing additional nutrients from food. Many users have found that they are able to eliminate most if not all of other supplements (even some medications!) and simplify their daily regimen, and even SAVE money (!) with great results with the addition of BAC to their daily regimen. Q: How many BAC should I take daily to protect myself from radiation from the computer? I usually have 4 hours of computer time per day. A: Generally speaking, for exposure to all types of radiation, EMF, or other toxic exposure, we recommend an average of 6-8 capsules of formula F3 daily as the best protection for most adults. Each individual is different due to their unique biochemistry, diet & lifestyle, current health, history, and other factors. We recommend starting out with 1-2 capsules per day, then gradually increasing the intake to at least 4-6 capsules per day, taken one at a time at regular intervals throughout the day. We are happy to answer your specific questions and help guide you to the best intake level for YOU, but always let your own body guide you. Q: I am 77 years old and I am concerned about Alzheimer’s disease, dementia, even strokes…can BAC help? A: BAC is an extremely efficient food (energy source) that results in optimum cellular health. In other words, BAC is BRAIN FOOD. Based on many years of animal research, definite improvements were shown in many areas of brain health while consuming BAC. Due to the proficiency at reaching and stimulating the hypothalamus with this source of profound energy (Awakening the Genius Within) every cell in the body becomes more capable of optimal functioning and healthy regeneration. It stands to reason that when every cell is healthier and the body is functioning at optimum levels, there is potential for every body to get and STAY healthy! Phyllis has used the BAC 3 for over 6 months. It has helped her mental clarity, her arthritis and her energy. We would recommend the product. On March 15, a neuro doctor told me, based on symptoms, I probably had 1st stage Alzheimer. When I took his prescription I was worse and very nervous. I couldn’t sleep well at night and had constant diarrhea. When I quit using it and went on BAC formula 2, I was cleared up in about 1 1/2 weeks. Q: I have low thyroid Hashimoto’s Disease. My thyroid is making the hormones needed, but my receptors are not accepting. Please address this condition and how BSF could help. A: By increasing the amount and quality of energy available to the hypothalamus, BAC supports the body’s own ability to restore endocrine balance through regeneration of healthier cells in the thyroid. This produces a sort of domino effect throughout the endocrine system and the rest of the body of gentle cellular restoration, helping to reverse the downward spiral that brought the body out of balance. Q: I live on the west coast and have had ongoing fatigue and some low level symptoms from a virus that I had acutely right before Christmas. It was only severe for a few days but it just lasts and lasts. Is it some strange type of virus because it didn’t seem like traditional flu? Also, I keep wondering if the San Francisco Bay Area where I live is experiencing enough radiation from Fukushima that there may be flu like symptoms from that or other toxins in the environment. A: During flu season, when exposure to illness or toxicity is particularly high, and/or for recovery from surgery or illness, we recommend increasing the daily intake of BAC to between 8 and 12 capsules for additional support to the immune system. Additionally, plenty of hydration and rest is recommended during these times, to further encourage the body’s innate defenses to rally. Q: I would like to know your suggested protocol for individuals dealing with malignancy. A: In all cases of cancer and/or more chronic or acute health issues (such as chronic pain, rheumatoid arthritis, etc.) we recommend taking a portion of BAC every half-hour for the best possible results. Again, frequency trumps quantity, so even consuming 1/3 to ½-capsule per intake will still produce beneficial results. Each time this high-energy fuel is introduced into the body, it reminds the governor (the hypothalamus) to wake up and govern again – what it is designed to do. This then “jumpstarts” all the body’s metabolic functions again and again until homeostasis is regained. Please contact us by phone or email to receive a written copy of our Advanced Usage Guidelines. info@bioage.com or, by phone: 877-288-9116 M-FR. Q: If people cannot give the recommended 6 capsules for radiation protection, will giving them 1/2 capsules 6x a day be sufficient since it is feeding the brain frequently, or is dosage important for radiation protection. A: Every time that even a small amount of BAC is introduced into the body, it is beneficial so yes, taking any amount is better than none. Again, frequency trumps quantity, so even consuming 1/3 to ½-capsule per intake will still produce beneficial results. Each time this high-energy fuel is introduced into the body, it reminds the governor (the hypothalamus) to wake up and govern again – what it is designed to do – which, among other things, keeps the immune system’s arsenal in a state of constant readiness. Q: If vitamin D levels are low, should I supplement with D3 while using BIOSUPERFOOD? Thoughts on low Vitamin D? A: Besides supplying an “extraordinary” array of nutrients, the best return in consuming BAC lies in its capacity to “awaken the genius within”. When fed by BAC, the cells of our critical brain organs will regulate better energy and endocrine metabolisms that govern nutrient assimilation and all internal gland and organ functions. In turn you will assimilate “vastly more” nutrients from your foods, (or better synthesize needed biochemicals as in the case of vitamin D) and more efficiently process your hormones, peptides, vitamins, etc. 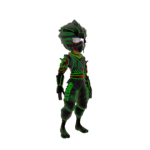 This “awakening” effect is the most important value resulting from consuming BAC. Vitamin D is certainly one of the “vitamins du jour” that has many doctors and supplement companies recommending mega-doses of up to 5,000 IU or more. However, in the case of vitamin D there are now several research studies showing the potential uselessness and even dangers of vitamin D supplementation. Do your own research and reach your own conclusions on the subject. Always recognize that you are in control of your own body! Until resolving the potential causes of deficiency, a much healthier solution to vitamin D supplemention is found in nature. Be sure to get outdoors for at least short periods of time each day and/or several times per week for a good dose of valuable sunlight, incomparable in its ability to replenish stores of Vitamin D. Our need of vitamin D is very small and can easily be found in several foods. Here is a partial list of foods high in Vitamin D3: cod liver oil, salmon, mackerel & sardines, egg yolks, beef liver and, of course, the microalgae found in BAC. Q: How does Bioage help remove toxins such as radiation from our body? A: Just for clarification’s sake: BIOAGE is the name of our company. BIOSUPERFOOD (or BIOPREPARATION for pets) is our product, both also known as BAC (Bio-Algae Concentrates) – the “generic” term. BAC provides pure cellular energy, in the form of this powdered green super food. Through years or even decades of exposure to known and unknown pollutants, toxins and/or poor diet & lifestyle choices, many of our bodies are in a state of dis-ease. With the proper energy made available to every cell, the body and all of its organs are able to function at optimum levels, performing all the tasks that they are innately and perfectly designed to do, not the least of which is to remove debris and toxins from the body, such as radiation, carbon monoxide, etc. Q: Just general concerns for fighting against radiation. I’m now using Iosol (eye-oh-saul) iodine and Thyroid Helper…I’ve been told these are excellent product choices. A: The use of iodine may sometimes be recommended in the case of extreme radiation exposure – but we believe it should not be used as a preventative. Whenever we consume singular nutrients – isolated from those the body needs in order to recognize and assimilate these nutrients – whether synthetic or organic, it is possible to throw the delicate balance of the body off. Consuming BAC (a whole food form of virtually every nutrient) dramatically restores the body’s assimilation and utilization of iodine through the revitalization of the hypothalamus and the subsequent cascade of positive effects on every metabolic function in the body. Q: My son (now 19 yrs old) was treated for Acute Lymphoblastic Leukemia (July 2010 – Sept 2013) and we gave him F3 (4-6) tablets daily for most of the three years of treatment. He has been in full remission since Sept 2010 and is now off all chemo treatments and medication. He had minimal side effects from all the chemo. He is still taking 1-2 tablets generally on a daily basis. We plan on giving him F2 when he runs out of F3. Do you have any info on other leukemia patients that have taken F3? A: Congratulations on your son’s remission…we love success stories! Yes we do have other clients who have reported similar outcomes. We receive numerous testimonials all the time, relating positive results from consuming BAC in such circumstances – both with and without other conventional or “alternative” treatments. As observed in the many years of research by Dr. Kiriac and since BAC has been on the market…it is not uncommon to experience increased quality of life and increased chances for success/recovery. We suggest your son stick with 4-6 capsules of F3 per day for the best possible protection, and maintain this regimen for life! Q: (What is…) the nutritional value of super foods and the source of said information…? A: BAC is, quite likely, the most nutrient-dense food on earth, with an estimated 15,000 nutrients and phytonutrients provided in synergistic balance. BAC is Health Canada certified and, as such, undergoes rigorous testing throughout its journey from growing the algae through to the encapsulated product being bottled and arriving in your hands. On our website you can find a link marked Nutrients, where you can explore more of this information and, if you are still inquisitive beyond this point, we will happily send you a copy of an independent lab’s Nutrient Analysis via email. info@bioage.com or by phone: 877-288-9116 M-FR. Q: This winter I noticed many returning from trips came home sick – colds, flu, radiation. How can those traveling protect themselves from Fukushima radiation, cold and flus? A: During flu season, when exposure to illness or toxicity is particularly high (potentially as in the case of traveling) and/or for recovery from surgery or illness, we recommend increasing the daily intake of BAC to between 8 and 12 capsules for additional support to the immune system. Additionally, plenty of hydration and rest is recommended during these times, to further encourage the body’s innate defenses to rally. Q: Want to hear more about the specifics of how BAC works for macular degeneration. Great Product. I am speechless. I also went to my eye doctor last month who gave me weaker lenses, because my vision has improved so much. In addition, my overall cholesterol level moved from 127 to 99 in six months. Can you believe it? My blood sugar A1C is stabilized now at 5.5 after reaching a 7.00 level two years ago. When you take the BAC with green vegetables and juice and with low, low carbs, you will see more positive effects. I have more energy now. That is true. Thanks to the inventor. God bless you. It is so good! Thanks! My sister-in-law, Glendia B. that you helped to get on a program for her macular degeneration, has had much improvement. Thank you so much. After observing the success my wife was having using BAC for her fibromyalgia I decided to try BAC for my energy and general declining health. I also suffered from Glaucoma experiencing intense pressure and pain. Now after two months of using BAC, my Glaucoma pressure has declined radically, my doctor wants to talk with the folks about BAC for his other patients. I feel better overall with my health and have lots more energy like my wife. I have had glaucoma for over ten years and my pressure never went below 18 even with drops. After two months on bio algae my pressure dropped to 11 in one eye and 9 in the other. I have been using it for two years now and my doctor is thrilled. Also I had a bone density test a few months ago. My GYN could not believe the difference since the last one and asked me what I was taking. I am 68 and the figures were much better than hers. Q: Would like to know more about the effect of F3 on mast cell tumors in dogs. With BAC, our dog found new vitality and appears rejuvenated. We will continue the protocol to provide lasting benefits. We wish to thank you with all our hearts for helping us in the wellness of our dog. Do you recall me ordering the Bio-algae concentrates from you last Sept/Oct? 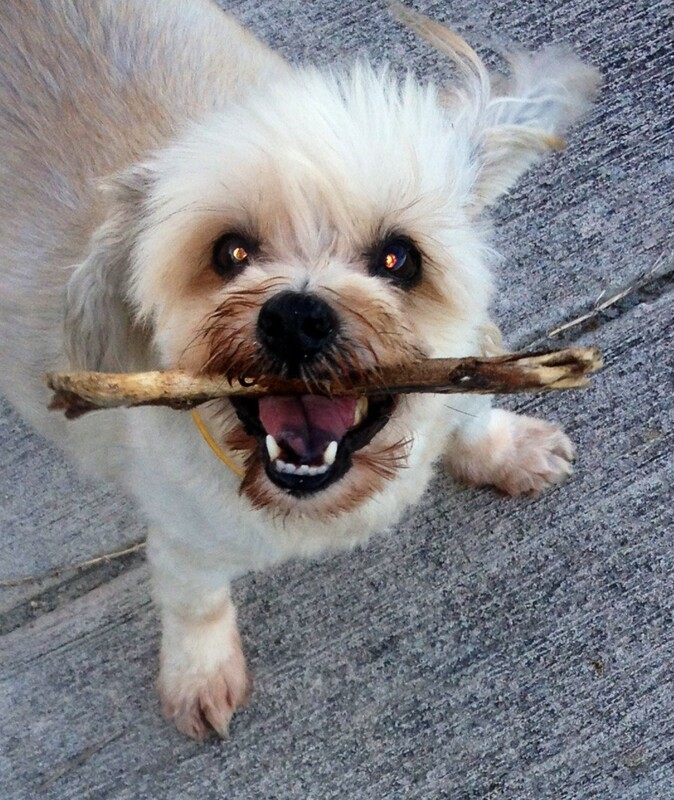 It was for our dog, Charlie Brown, who was diagnosed with a rare form of terminal bone marrow cancer. The doctors said there was no hope for him; he was only hours away from dying at the time. Well, we gave him one of these pills as a last ditch effort (he could not drink or eat or even raise his head at this point), and over the next few days he started to improve little by little. We didn’t expect anything at all, but it is now 8 months later and he is 100% back to normal and full of life!! The vets could not believe it, and took a sample of the Bio-algae concentrates for analyses to see what may be in them, but they couldn’t find anything specific. They simply see it as a miraculous recovery that can’t be explained. My 3.5 year old Sheltie, Riley was diagnosed with lymphoma. He is taking chemotherapy but is on F3 formula 1/2 capsule 6 times per day. He went into remission with his second chemo, and the tumor had completely gone away. He has only had one bad reaction to the chemo and has plenty of energy and is leading a full life. My nephew, David, went to the vet with his dog and the vet could not believe the dog was still alive. He passed an examination and could not find the large tumor in the bladder. He was dumbfounded when David told him he had saved his dog with seaweed. The vet had no choice but to believe it, because the evidence was right there. Davidíson Riley, who was with him, only 9 years old remarked to the vet that if he had continued to care for their dog, it would have been a year and a half that he would have been dead. David had a good laugh but Riley is absolutely right. This little boy will be marked forever as they not only saved his dog with BAC, but he also does not need to take Ritalin anymore since he is taking some BAC too, and he is in perfect shape. I am so happy that everything ends well, he is my nephew and I love him so much, he is like a son to me. I was told my cat had only a few weeks to live by her regular vet. I went to Dr Lemmon, a naturopathic vet and he prescribed your product. He told me he also took it himself. I gave it to my cat mixed with chicken broth 3 times a day and she was so much better. I believe it kept her alive and feeling well for the next year. She eventually was overtaken by her lymphoma but I am grateful for the time she got feeling well after beginning your product. Q: ANTIOXIDANT and ROS (reactive oxygen species) ACTIVITIES IN PLANTS VERSUS MAMMALIAN PHYSIOLOGY DIFFERENCES. A: Assuming that this question relates to the efficiency of plant-based antioxidants with human or animal metabolism, we will point to the abundant research conducted by Dr. Kiriac that yielded many positive antioxidant benefits from the nutrients in BAC with the many animal species tested. BAC contains a multitude of carotenoids in an extraordinary balanced and synergistic form. There is myriad research done on astaxanthin, beta-carotene, lutein, lycopene, zeaxanthin and other carotenoids. The ROS and other anti-oxidative protection factors in BAC are exceptionally superior to typical isolate antioxidants such as vitamin C, or E, or beta-carotene because of the fact that the many carotenoids in BAC work synergistically to achieve superior protection… and all this with zero toxicity.